My client for this cake was a young woman in love with the Broadway play Hamilton and so requested a birthday cake to match. 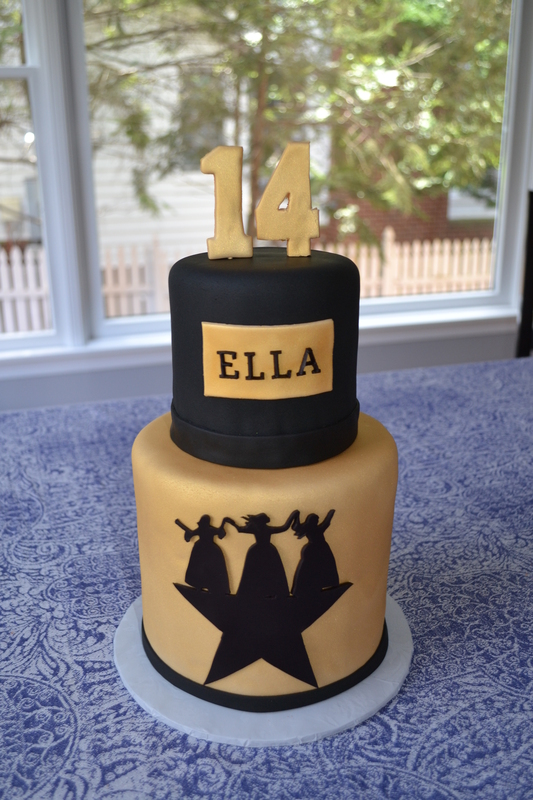 I used one of the main images from the play and cut out a fondant silhouette and spray painted the main cake gold. I thought that it was very important to have a very simple and clean cake, so the only other adornments I added were her name and age.